November - We are loving classic elements mixed in a modern way. Navy, burnt orange, camel mixed with animal prints, trendy patterns and amazing artwork. 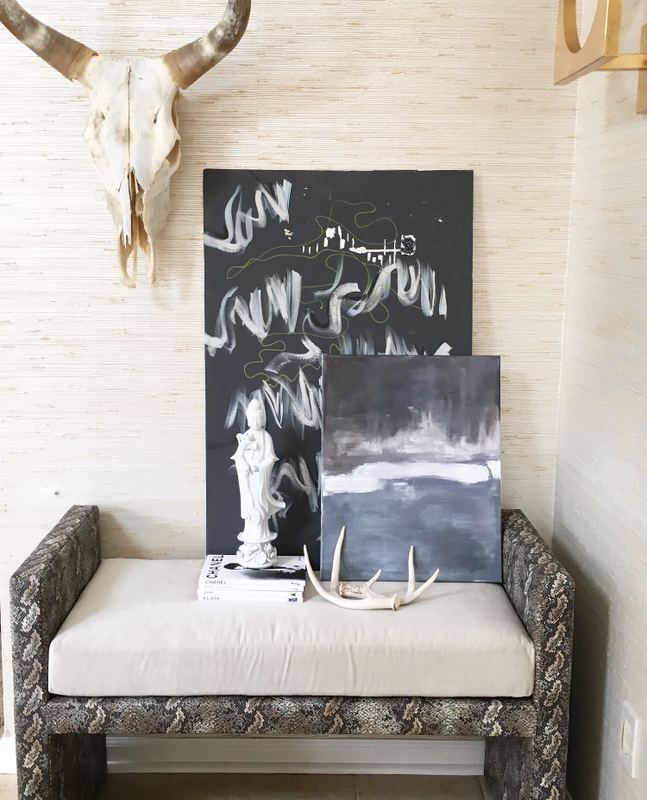 From the Studio, Custom faux snakeskin bench with camel velvet seat, available in custom sizes. Original artwork, large dark navy piece by Donna Benedetto, smaller piece by Tiffany Eastman. Love mixing these items with great books and organic elements and for me a touch of Chinoiserie blanc de chine is always a good thing too!